At Robinson’s Shoes, we are committed to providing you with high-quality, handmade shoe brands, and we like to keep the brands we stock updated, which is why we’re so excited to now be stocking the iconic Hunter brand. Find out more about this legendary footwear company, and fall in love with the new season styles on offer in this brand spotlight blog post which will tell you everything you need to know about this British heritage brand known for producing the iconic Hunter wellies. Hunter was established in 1856, by American entrepreneur Henry Lee Norris. He landed on Scottish soil, and founded the North British Rubber Company, which would later become known as Hunter. He started to produce boots and other industrial rubber items, using a newly patented vulcanisation process to create durable rubber products. By 1870, the company employed 600 people – but it was the beginning of WW1 in 1914 that saw production levels soar. The mill ran 24 hours a day and produced over 1 million pairs of boots over the war period. Hunter were called on again during WWII and provided shoes for countless soldiers and workmen. 1956 marked the creation of the iconic Original Green Wellington, which is a style that later became known as the Original Boot, which are still handcrafted today. Hunter was awarded a Royal Warrant by Appointment to HRH Duke of Edinburgh in 1977 and later to HM The Queen in 1986, an accolade of the highest order. The brand has a rich history of innovation is built on the principles of protection, intelligence and craftsmanship. Each Wellington boot is made from 28 separate parts, and the quality of Hunter’s wellies is almost impossible to find elsewhere in imitations. Hunter’s boots have become a style staple within the festival scene, with celebrities such as Kate Moss, Alexa Chung and Kendall Jenner sporting them at Glastonbury. At Robinsons, we offer a variety of styles of Hunter’s Wellington boots, including both leather boots and classic rubber wellingtons to suit your outdoor needs. We of course stock the classic Hunter Original Tall Wellingtons, alongside some new additions such as the Hunter Balmoral Leather Lace Up Boots. We also stock the must-have wellies of this summer, the Hunter Balmoral Bamboo Carbon Wellingtons which feature a bamboo carbon lining for moisture wicking, comfort and breathability, and they have been updated with a new flexible, lightweight sole. Whatever your outdoor needs this summer, Robinson’s Shoes can cater for them. It’s nearly impossible to pick a few favourites, but we love the timeless Hunter Balmoral Classic Wellingtons: they’re hard to beat for style or quality, and the classic dark olive colour is very versatile; as easily matched with outdoor wear as with a stylish festival look. 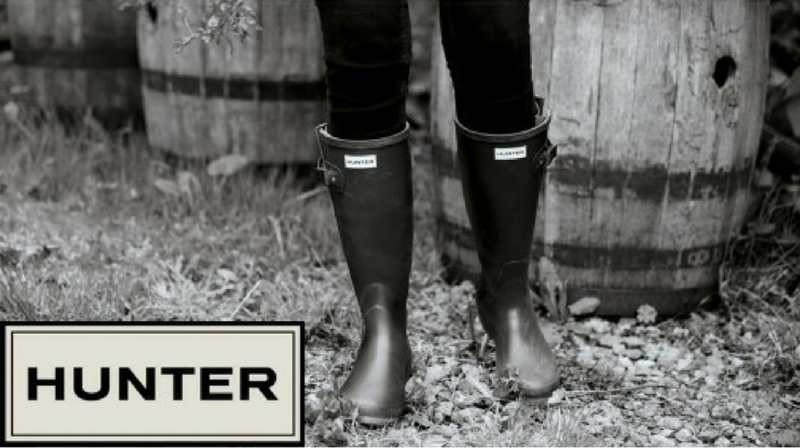 We also love the Hunter Original Side Adjustable Wellingtons, which allow for a truly customizable fit. Tempted? Don’t forget we offer free worldwide delivery on all orders over £150 – so what better time to treat yourself to a new pair of shoes or boots you’ll love. Whatever the occasion, we’re sure we have a pair of Hunter wellies that are just right for you.